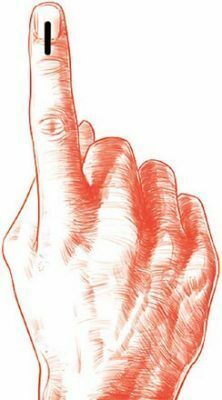 Hyderabad: The Telangana Information Technology Association (TITA), which launched ‘Ungli Challenge’ on Nov 21 aimed at promoting the right to vote, will be announcing its winners. Each of the ten winners will get a cash prize of Rs 5,000. As a part of the challenge, participants were to dance as per the pre-set choreography highlighting the importance of voting. These performances had to be posted on social media, including Facebook, Twitter and Instagram, by using the #UngliChallenge along with messages. TITA president Sundeep Kumar Makthala, who initiated the challenge, performed a dance and threw a challenge to the other association members. Last election, Telangana witnessed up to 71 percent voting. However, Hyderabad saw only 53 per cent voting. In places where software engineers reside, it was only 32 per cent. To increase the voting percentage both in Hyderabad and in the IT areas, TITA had launched this contest. The challenge, involving techies directly and engaging them to post their performance and messages on social media, attracted a lot of attention. It ends on the polling day. The top five dance performances and top five messages will be given a cash prize of Rs 5,000. The association had recently carried out a first-of-its-kind political hackathon involving IT professionals, political parties. Makthala said buoyed by the success of past initiatives such as political hackathon, TITA had rolled out this initiative.